I so enjoyed spending time reading The Blustery Day with the kiddos! This was a sweet fun book that reminded me of the stories Grammy used to tell at bedtime. 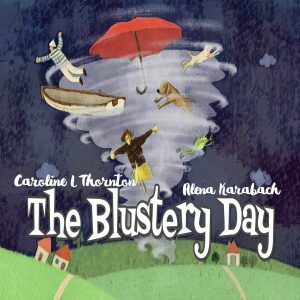 The Blustery Day is such a fun whimsical tale that I couldn’t help but to smile as I read the rhyming verse. The kids enjoyed the umbrella’s antics and helpfulness as it was whipped across the land.